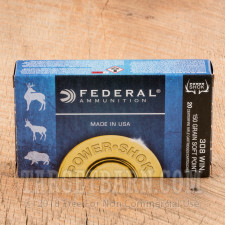 Federal Power-Shok ammunition is a staple of many hunters due to its reliable performance and reasonable price. 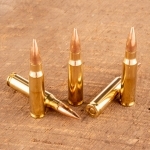 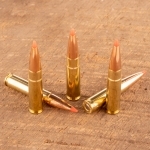 These .308 Winchester cartridges are suitable for taking all North American thin-skinned game and rely on an expanding soft point projectile that delivers lethal terminal performance without meat-destroying fragmentation. 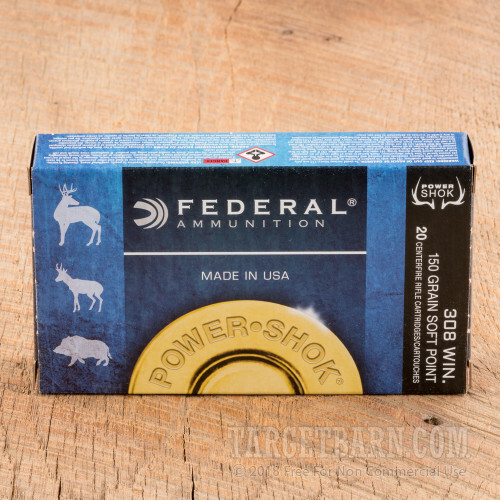 Each cartridge in this box of 20 fires a 150 grain soft point bullet at 2,820 feet per second. 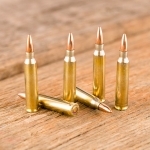 This results in trajectories comparable to those of M80 ball, though obviously with different results once th bullet strikes an animal. 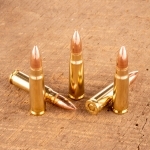 This ammo is made in Anoka, Minnesota using non-corrosive Boxer primers and reloadable brass cases.